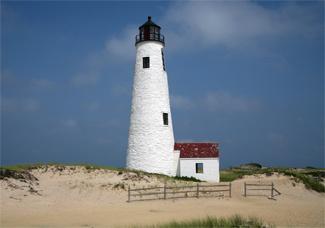 Great Point Lighthouse, also known as Nantucket Lighthouse, sits at the end of a seven-mile-long strip of sand at the northern tip of Nantucket, overlooking the gap between Nantucket and Monomoy Island that connects Nantucket Sound to the Atlantic Ocean. By the late 1700s, this passage was one of the busiest areas on the East Coast, mostly due to the thriving whaling industry, but hidden shoals and strong, unpredictable currents made the thoroughfare a difficult challenge for mariners. 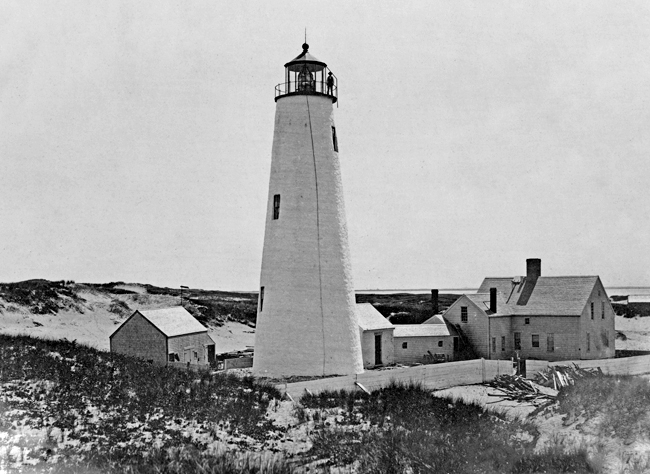 On February 5, 1784, the General Court of the Commonwealth of Massachusetts passed a resolution providing for a lighthouse to be built at Sandy Point. A wooden tower was quickly built and the station was activated that October with Captain Paul Pinkham, a former whaler and author of a chart of the shoals of Nantucket and Vineyard Sounds, as keeper. 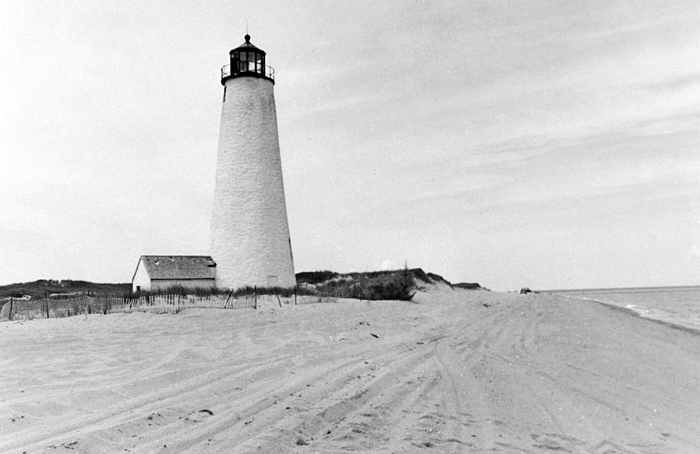 Since there was initially no keeper’s dwelling, Pinkham was forced to travel seven miles back and forth along the barrier beach to reach the lighthouse. 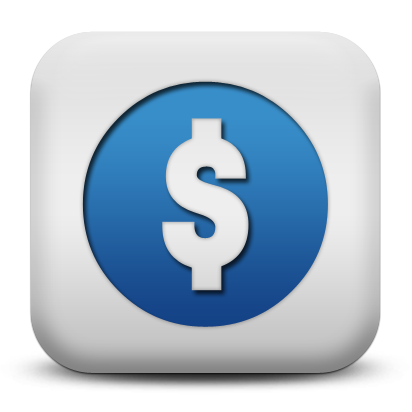 He was initially paid a salary of $166.66 per year, but that was soon increased due to the unusual hardship of serving at the station. After three years of this routine, a residence was finally built at the station, much to the keeper’s relief. Pinkham was the first person to accurately map the dangerous shoals near the station, which was an invaluable aid to mariners traversing the area. When Pinkham died in 1799, George Swain took over keeper’s duties and served until 1812, when Jonathan Coffin was made keeper. Shortly after Coffin arrived at the station, the keeper’s house burned down, forcing him to resume the tradition of a long daily commute to the lighthouse. Coffin asked for and received a pay raise due to his hardship. Then, in 1816 a fire of suspicious origin destroyed the original wooden tower. Winslow Lewis visited the site and stated, “It can hardly admit of a doubt…that the Lighthouse…was purposely set on fire.” The actual cause of the fire was never proven. This light is 70 feet above the level of the sea, in a stone tower 60 feet high. It consists of 14 lamps, 3 with fifteen and 11 with sixteen-inch reflectors, arranged in the usual way, in two circles parallel to each other and to the horizon. The keeper has removed 7 lamps from the chandelier, and placed them on a shelf against the window, on the familiar principle of doing the same when we would throw a light into the yard. I confess the lamps against the window seemed to show with more power than those back among the chandelier near the centre of the lantern. The principle advantage he hopes to derive from this arrangement is in the prevention of frost on the glass by the heat of the lamps. The objection to this plan is, that the attendant, standing in the centre of the lantern, will have the reflectors between him and the light. If he should have trimmed the lamp too much or too little, he may not discover his mistake before leaving the lantern; whereas, now, he passes around the lamps, in view of them, and may readjust any that happen to smoke or do not burn sufficiently high. This light is one of the highest importance to our coasting trade, placed as it is at the entrance of a great thoroughfare, celebrated among seamen for the intricacy and danger of its navigation No establishment on our coast requires a more efficient light, and not one save Monamoy, on the opposite side of the same channel, is in so bad condition in respect to the illuminating apparatus and effects produced by it; nor is there any thing by which a stranger can distinguish one from the other, both being fixed lights, both located on flat sand beaches, and both environed with shoals and currents of the most dangerous and deceptive character. Improvements finally came in 1857, when a third-order Fresnel lens replaced the lamps and reflectors, the tower was lined with brick and equipped with an iron staircase, and a dwelling was built for an assistant keeper. Despite the powerful new optic, many ships still ran into trouble in the area. A journal kept at Great Point Lighthouse between 1863 and 1890 shows forty-three shipwrecks during that twenty-seven-year period. 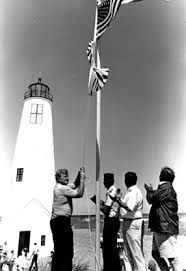 The biggest problem was that mariners had trouble distinguishing the lighthouse from two nearby lightships, the Cross Rip and the Handkerchief. In September 1866, the schooner Leesburg ran aground on Great Point Rip. In an interview with Captain Smith of the vessel, Keeper George F. Coggeshall asked, “How came you on the Rip?” The captain’s reply was, “I mistook the light for the lightship.” The keeper then asked, “What kind of a light was there?” When the captain said, “As good a light as ever was anywhere,” Keeper Coggeshall ended his questioning, reassured that his lighthouse was not at fault. But the shipwrecks continued. Less than a month later, on October 4, 1866, Captain Samuel Thompson mistook Great Point Lighthouse for Handkerchief lightship and ran his ship, the Storm Castle, onto the rocks. The 1888 Annual Report of the Lighthouse Board notes “Orders have been given that a red cut be placed in this light to cover Cross Rip Shoal.” The added red sector largely took care of the mistaken identity problem, and the number of shipwrecks decreased. 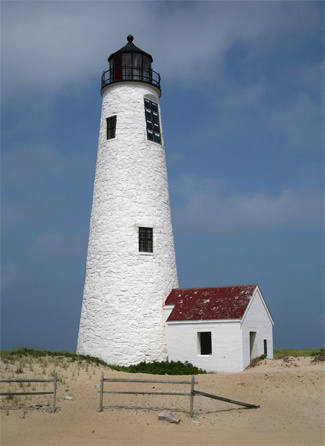 Mineral Oil replaced lard oil as the illuminant for Great Point Lighthouse in August 1882. In 1889, the station’s old double-dwelling was demolished and atop its foundation was built a new frame double-dwelling, measuring thirty-seven by twenty-seven feet and having an ell measuring twenty-seven by sixteen feet. Assistant Keeper Marcus E. Howes had just left the lantern room atop Great Point Lighthouse to quench his thirst one night in 1902 when two, seven-pound canvasback ducks crashed through the lantern room glass and extinguished the light. Howes hurried back to the scene to find that one of the glass panes, which measured six feet by twenty-seven inches and three-eighths-of-an-inch thick, had been smashed into pieces no larger than a half-dollar. As Howes was accustomed to stand by the broken window during his watch, he considered himself lucky to have escaped injury that evening. Henry L. Thomas was serving as head keeper of Great Point Lighthouse during World War I, when keepers were urged to cultivate more food to help the war effort. During the summer of 1917, Keeper Thomas raised potatoes of a good quality in the beach sand near the lighthouse, as there was no soil in the vicinity, and his success was published in the Lighthouse Service Bulletin “for the benefit of other employees similarly situated.” Also during 1917, Keeper Thomas and Charles Stoll, his assistant, assisted to shore the eight crewmembers of the disabled steamer A.T. Serrell that was caught in ice pack and quartered them at the lighthouse until the arrival of the Coast Guard. On the morning of September 23, 1931, the fishing vessel Elizabeth M. Foley caught fire about two miles off Great Point and shortly thereafter its fuel tanks exploded. The crew of the vessel hastily put off in a dory, but this small craft was soon foundering. Fortunately, Keeper Theodore Chase and Otis Walsh, his assistant, were alerted to the accident and arrived on scene in the station’s boat in time to rescue the crew. 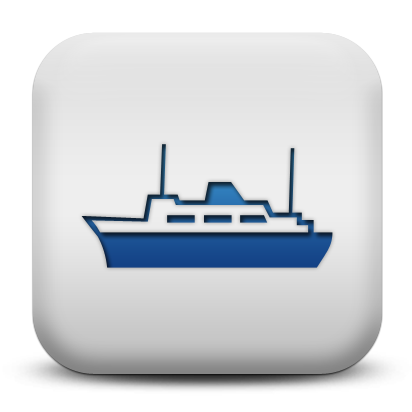 The shipwrecked men were taken to Great Point Lighthouse where they were lodged and fed. Archford Vernon Hasksis served from 1937 to 1944 as the final principal keeper at Great Point before Coast Guard crews were stationed at the lighthouse. One of his daughters, Jeanette Haskins Killen, shared the following with author Edward Rowe Snow about her time at Great Point Lighthouse. I always loved storms and still do. The storms there were beautiful. The wind swept along the dunes and at the top of the house, but never came low in our little valley. I used to love to walk in the brisk wind along the beach and feel the sting of the sand. It is strange how I feel about God, too. Living as I have has influenced my belief. We have never had a chance to attend church regularly, but when I look at all the beautiful things of nature I feel my religion lies there. I feel that such a service as the lighthouse has something to do with God. When men are lost at sea most of them pray for a light and when the light is seen it might be a beacon guiding these men back to shore and life. When I light the light (which I do sometimes), I feel as if I am believing and helping God. 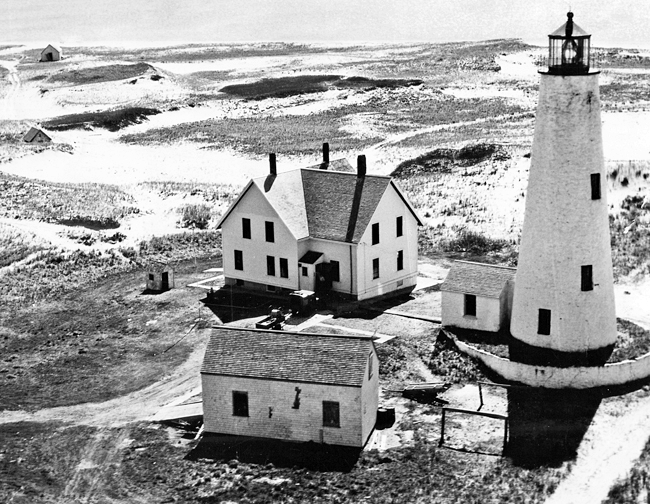 Great Point Lighthouse was automated during the 1950s, and the keeper’s house was boarded up and abandoned. In 1966, a suspected arson fire completely destroyed the dwelling. A 190mm solar-powered modern optic replaced the tower’s Fresnel lens in 1971. Through the 1970s and ‘80s, erosion brought the tower closer and closer to the water. 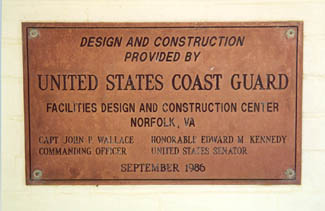 Although the Coast Guard repainted and refurbished the tower in 1983, no action was taken to actually move it away from the water, something that had been discussed. 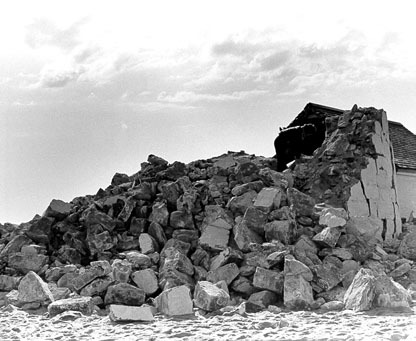 Then on March 29, 1984 a hurricane-force storm toppled the lighthouse and cut through the barrier beach, leaving the remains of the tower on an island. The new tower was built by Hydro-Dredge of New Bedford with assistance from Rosado and Sons of Boston, and it remains an active aid to navigation, showing a white light flashing every five seconds. 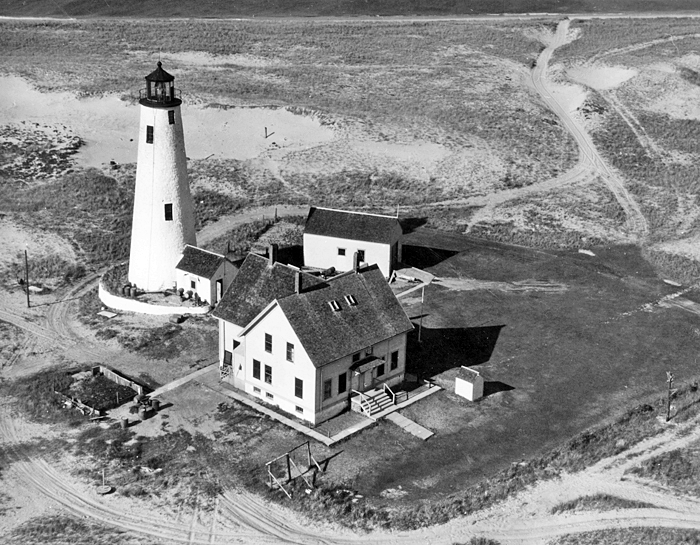 Surplus funds were used to rehabilitate the lights at Cape Poge and Monomoy Island. 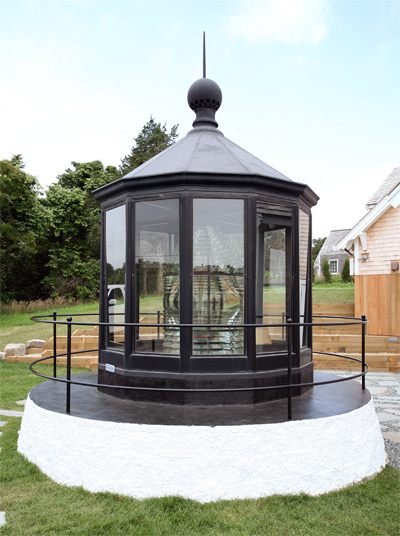 The third-order Fresnel lens from Great Point Lighthouse is on display on the grounds of the Nantucket Lifesaving Museum. Head: Paul Pinkham (1784 – 1799), George Swain (1799 – 1812), Jonathan Coffin (1812 – 1816), George Swain (1816), George Bunker (1816 – at least 1829), Caleb Cushman (1831 – at least 1839), Aaron Folger (at least 1841 – 1846), Oliver C. Gardner (1846 – 1854), Obed Bunker II (1854 – 1861), George F. Coggeshall (1861 – 1867), William S. Allen (1867 – 1886), Charles F. Swain (1886 – 1890), Isaac Hamblin (1890 – 1891), Amasa S. Dyer (1891 – 1897), Willis Higgins (1897 – 1903), Joseph W. Nickerson (1903), Judah Berry (1903 – 1904), Alfred A. Howard (1904 – 1906), Frederick E. Tarr (1906 – 1909), Richard F. Dixon (1909 – 1911), Milton Gunderson (1911), Thomas J. Kelley (1911 – 1914), Henry L. Thomas (1914 – 1919), John M. Scharff (1919 –1921 ), Carew (1921 – 1924), Harry B. Dobbins (1924 – 1926), Theodore L. Chase (1926 – 1932), William L. Anderson (1932 – 1935), Frank A. Grieder (1935 – 1937), Archford “Ted” V. Haskins (1937 – 1944), Antone S. Syliva (1944 – ), Nicholas Norton (at least 1945). 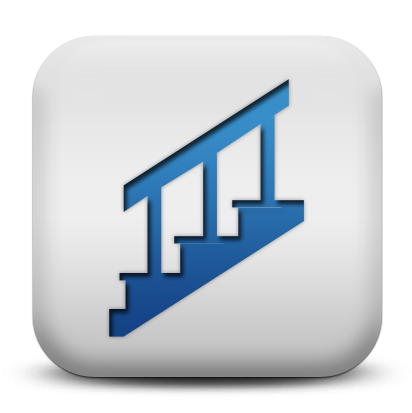 Assistant: William S. Allen (1857 – 1867), John M. Lamb (1867 – 1872), Edward G. Coffin (1872 – 1880), Reuben R. Hobbs (1880 – 1881), George W. Folger (1881 – 1884), Benjamin W. Fisher (1884), John M. Lamb (1884 – 1889), William D. Appleton (1889 – 1890), John M. Lamb (1890 – 1894), Isaac Hamblen (1894 – 1895), Alonzo D. Fisher (1895 – 1897), Michael Campbell (1897), Edward D. Small (1897 – 1899), George W. Jaques (1899), Harry L. Cook (1899 – 1901), Marcus E. Howes (1901 – 1902), Joseph W. Nickerson (1902 – 1903), Alfred H. Manton (1903 – 1904), Rolland G. Ryder (1904), George A. Ryder (1904), William E. Small (1904 – 1906), Frank Verce (1906), Warren A. Ellis (1907), Richard F. Dixon (1907 – 1909), Andrew Tullock (1909 – 1910), James H. Dennis (1910 – 1912), Henry C. Towle (1912 – ), Manuel A. Francis (1913), William L. Anderson, Jr. (1913 – ), Charles Stoll (1916 – 1917), John A. Strout (at least 1919 – 1920), Clarence L. Turner (1920), Edwin D. Smith (1920 – 1923), Harry B. Dobbins (1923 – 1924), Fred Leighton (1925 – ), Ralph C. Norwood (1929), Otis E. Walsh (1930 – 1933), Stanley M. Brackett (1933 – 1934), Stanley M. Gunderson (1934 – 1935), Roy Murphy (1935), Octave Ponsart (1935 – 1937), Percy A. Evans (1937 – 1938), William C. Dawe, Jr. (1938 – 1939), Gerard V.J. Lorother (at least 1940). Located on the extreme northeastern tip of Nantucket, in the Coskata-Coatue Wildlife Refuge. 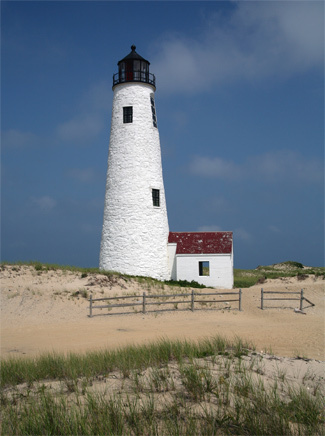 For a larger map of Great Point Lighthouse, click the lighthouse in the above map. The Lighthouse is located in the Coskata-Coatue Wildlife Refuge. You can purchase a permit to take your four-wheel drive vehicle into the refuge, but if you are planning on just a one-time visit to see the lighthouse, the most economical way is to take a 3-hour natural history tour of the refuge. Tours leave at 9 a.m. and 1 p.m. from June through Columbus Day weekend. For reservations, call (508) 228-6799. To reach the refuge from the Steamboat Wharf in Nantucket, proceed up Broad Street to S. Water Street. Turn left on S. Water Street and then turn right on cobble-stoned Main Street. From Main Street, turn left on Orange Street and continue on Orange Street/Lower Orange Street for just over a mile to the rotary. At the rotary, go east on Milestone Road for 0.3 miles, and then turn left onto Polpis Road. Follow Polpis Road for 4.5 miles, then turn left onto Wauwinet Road. Continue on Wauwinet Road for just over 2.5 miles, where you will see the Wauwinet Gatehouse for the refuge. The third-order Fresnel lens from Great Point Lighthouse is on display on the grounds of Nantucket Shipwreck & Lifesaving Museum. The lighthouse is owned by the Coast Guard, but managed by Trustees of Reservation. Grounds open, tower open during scheduled tours. 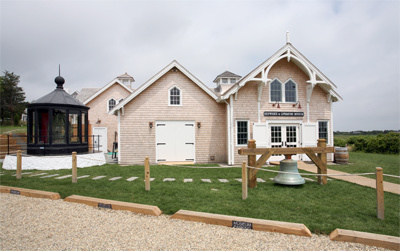 As you transit from Nantucket Town to the refuge, be sure and stop at the Nantucket Life-Saving Museum along Polpis Road. Outside the museum is the third-order Fresnel lens used in Great Point Lighthouse, and inside the museum is a fifth-order Fresnel lens used in Brant Point Lighthouse. The museum also has interesting and informative displays on the lifesaving service.